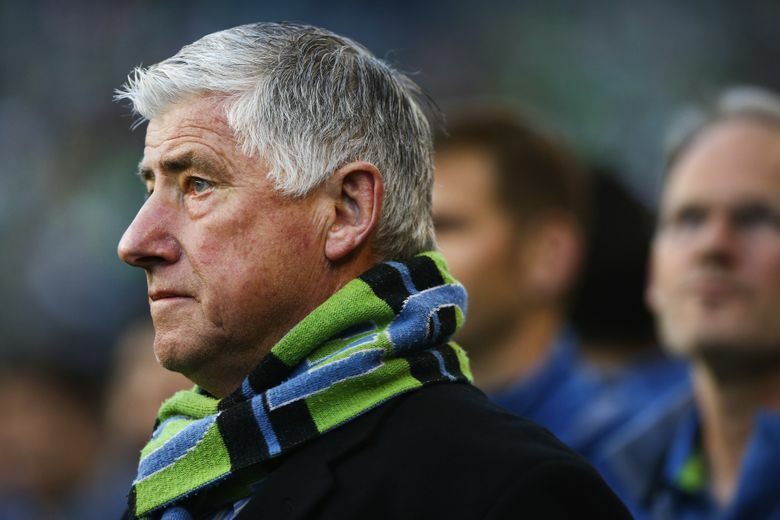 Under Sigi Schmid's guidance, the Sounders won four U.S. Open Cups (2009, 2010, 2011 and 2014), as well as the 2014 Supporters' Shield as regular-season champions. Earlier this month, Sigi Schmid sat behind a table at the front of the room, facing out at a fluorescent glare. In the right side of the audience sat local media; to the left, Sounders owners Adrian Hanauer and Joe Roth, plus general manager Garth Lagerwey. Schmid let the question wash over him, staring down at his hands. Do you ever feel like it’s time to step down or that your job may be on the line? On Tuesday morning and with what the club says was with input from Schmid, that question finally had a definitive answer. After more than seven years, four U.S. Open Cup trophies and a Supporters’ Shield as 2014 regular-season champions, the Sounders have parted ways with the winningest coach in Major League Soccer history. The decision was simultaneously abrupt and a long-time-coming, predictable and unfathomable. It is both an understandable reaction to an ongoing free-fall and a step into the darkness without the only leading light the MLS club has ever known. The Sounders pre-existed Sigi Schmid. They were a near-immediate success story in the North American Soccer League back in the ’70s, a minor-league champion under coach Brian Schmetzer – Schmid’s longtime MLS assistant who will take over on an interim basis for the rest of this season. But when it comes to the club’s Major League Soccer era, Schmid is the architect and the very foundation. 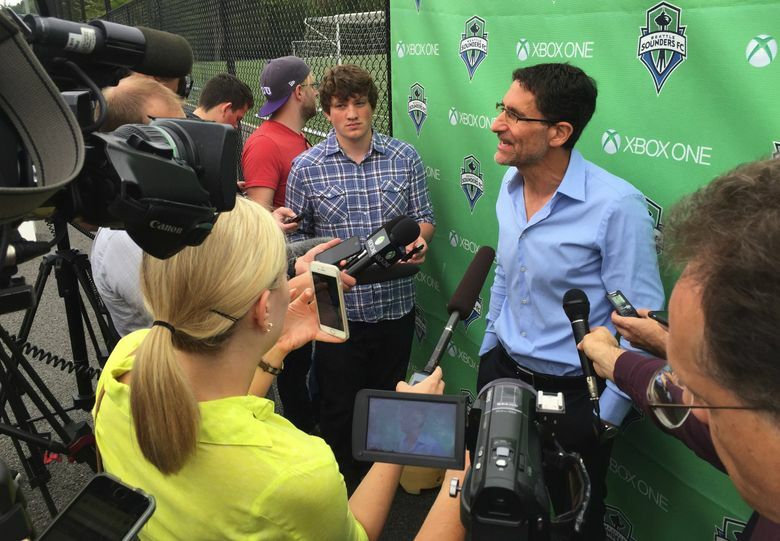 “He has helped us transform soccer in this country,” Hanauer said Tuesday. And if that’s a bit grandiose, it’s impossible to separate the early success under Schmid from the sellout crowds and big-club aura that followed. Seattle became the first expansion club in more than a decade to reach the postseason in its inaugural campaign in 2009, and it also won the first of three consecutive Open Cups that year. The Sounders have qualified for the playoffs in each of their seven MLS seasons. But they have yet to reach the championship game, yet alone win it, a sticking point for fans whose expectations rose with each consecutive winning season. And that streak is in serious jeopardy with the team currently 10 points out of a postseason spot with a 6-12-2 record. The Galaxy loss that preceded the press conference described above was one thing, a game the Sounders dominated but just couldn’t score in. Sure, that had been the theme of the season, a broken record on repeat. But while they were controlling possession and creating chances, it was possible to squint and see a team that was a few pieces away from a playoff contender. The 3-0 defeat in Kansas City last Sunday was far more dispiriting. Seattle was out-shot 19-1, and if not for Joevin Jones’ weak effort wide of the target with a few minutes remaining, the Sounders would have been the first team in MLS history to go a full 90 minutes without registering a single shot. Tyrone Mears’ effort on Sporting’s third goal, when the defender pulled out of a light jog to allow Dom Dwyer to swoop in for a simple finish, was damning for all involved. This past offseason, after yet another Cup-less playoff run ended by FC Dallas in the conference semifinals, Schmid spent part of his vacation in Italy watching A.S. Roma practice sessions. It’s a habit he’d gotten into while at UCLA, annual or bi-annual trips abroad to study colleagues’ coaching methods. In the late 1990s, he’d spent part of the winter observing then-Stuttgart and current German national team coach Joachim Löw. Speaking on a back patio looking out at an Arizona sunset during this year’s preseason in Tucson, Schmid felt fresh, rejuvenated. He grew animated talking about the team’s shift to a 4-3-3 formation, using his hands to gesture how each piece was going to fit together. “Everything is cyclical in life. That’s one of the beliefs that I have. Even you in your job, I’m sure there are days where it’s really cool and other days where it can be a drag,” Schmid said. “When you expand that, there are probably months where it feels like a drag and months where it seems very exciting. So you go through this wave. It’s easy to paint a picture of a Sigi Schmid diminished by losing and chipped away at by outside forces. And to be sure, this campaign sat heavily on his shoulder, furrowing his brow and shortening his responses. But as recently as last week, Schmid reiterated his desire to push on. He still meticulously wrote and re-wrote his notes on the same exact graph paper. He still watched and re-watched game tape the night after matches, playing games of solitaire on his computer to unwind, looking for a winning formula until the end. Schmid’s seat had been hot before this season. It has often felt like it’s been set to a low simmer ever since the late-season collapse in 2013 that ended with a playoff loss to rival Portland. But that year, despite fan grumbling and a continued championship drought, Schmid was given a reprieve. What followed what was probably the triumph of his Seattle tenure. In the aftermath of the Timbers series, Schmid gathered Clint Dempsey, Brad Evans and Osvaldo Alonso at a Kirkland Hotel for an airing of grievances. He enlisted their help in remaking the roster, came to the conclusion that this core group of players could still be successful with a bit of tinkering around the edges. The Sounders won the 2014 Open Cup and the regular-season title, coming within a single goal of their first MLS Cup final. The decision to move on from Schmid in the middle of this season is a tacit admission by the front office that this roster needs a drastic overhaul. Minor changes to the back end of the rotation are not going to cut it. General manager Garth Lagerwey said Tuesday that he wants his team to have a clearer identity, a system that prioritizes the collective rather than the individual. Hanauer consulted with Lagerwey and Roth prior to his conversation with Schmid on Tuesday morning, but said responsibility for the decision was ultimately his. “It wasn’t necessarily my decision alone, but I’d say I took the lead on that and decided that this was the right time,” Hanauer said. Due to the occasion of his return to Southern California for an Open Cup quarterfinal more than keen foresight, Schmid reflected last week on his last days as the Galaxy coach prior to his firing in 2005. Everything is cyclical in life. Schmid’s coaching career began with a strict timeline. He gave himself three years to make it work at UCLA, otherwise he was going to make use of his accounting degree full-time. More than 35 years later, he departs Seattle with the most wins of any coach in league history. Schmid’s Sounders tenure was never going to be entirely fulfilled without an MLS Cup triumph, but he leaves behind a well-stocked trophy cabinet that he helped construct himself.